COMMENTS: Love this color! Used in Clear m&p “goldfish in a bag” project. Turned out wonderful! COMMENTS: This works well on top of cold process soap for that extra splash of color. COMMENTS: This ones does sparkle but it could use a little more shine I thought. But still great. COMMENTS: I use all of WSP's glitters for a special something on the tops of soap loaves. It always behaves & looks great. 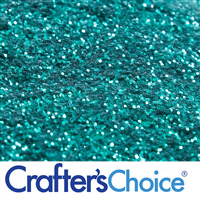 COMMENTS: This glitter is a beautiful shade of blue, it is perfect for bath cupcakes and fizzies! Excellent quality, as always! COMMENTS: I love this glitter, its really gorgeous! COMMENTS: I purchased several colors of the glitter to mix together and use to sparkle Christmas tree soaps. The colors are so pretty and look beautiful in the soap. It is very fine and blended great. Love it and now I am planning other uses for the glitter. COMMENTS: Lovely blue. Very pretty color. COMMENTS: This glitter is great in my Kentucky Blue soaps. COMMENTS: Used this on the textured top of a cold process recipe and I love the way it looked in the finished product. 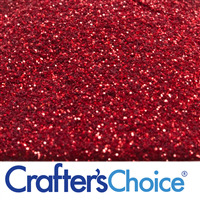 I am not a heavy glitter user, but this one I will have to reorder! COMMENTS: I use this in my melt and pour soaps and love the color. COMMENTS: very pretty. 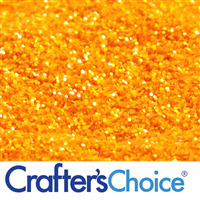 use this blue glitter for an extra touch to my wax tarts. COMMENTS: This blue glitter works fabulous. The sprinkles are just the right size for showcasing your soap without overpowering it. It is a very pretty blue to go with many different soaps. Just the right amount of color for your soaps to shine. COMMENTS: This is blue not blue glitter. It has little to no glitter so I had to add irredescent glitter to achieve the sparkle I wanted in my body glitter gel. COMMENTS: I really like the color of this glitter. I added it to the top of my CP soap. I will be ordering again. COMMENTS: We added these sparkles to a batch of soap and it looks SO pretty!! It definitely takes the soap up a notch and looks very elegant! COMMENTS: This is a great color blue. Give a great lift to soaps in clear base and really stands out. COMMENTS: Great for my "fish in a bag" soap! Kids love the sparkle! COMMENTS: Love this eye catching color, and so do my customers! 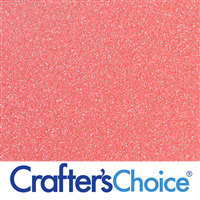 Customers seem to gravitate towards soaps with glitter or embellishments on top, and this glitter is that pop of color that really does get a customer's attention. Love all of your glitter colors! COMMENTS: This is a wonderfully brightly colored glitter. I use this in my MP soap embeds, soap gumballs to go on top of loaves & to lightly dust on top of loaves of CP soap. I am sure I will use this in other products as well. COMMENTS: This color is absolutely beautiful! It worked so well in my melt and pour projects!! This is definitely a customer favorite come spring time.. I especially like using this color for my salt bars! COMMENTS: I got this as a sample and I must say, it's beautiful!! I am always impressed by your products, WSP! If I need anymore blue glitter, I will reorder. COMMENTS: Got this as a free sample. Very pretty in M&P. COMMENTS: This glitter is so pretty!!!! COMMENTS: This suspends very nicely and looks great with a white base in my snowflake molds. COMMENTS: Received this as a sample and really liked it. Compliments my soap very well. Just a sprinkle on the top. "A perfect glitter for soap"
COMMENTS: I received this as a sample and can't wait to order more. It is PERFECT on the tops of my soaps, when I need some awesome blue sparkle! COMMENTS: This is the perfect color to add a little summer bling to cp soaps. The glitter is fine enough to add the perfect amount of sparkle to any project. COMMENTS: I like the small particle size - it doesn't feel scratchy and suspends well in the soap base. The color of this one is so pretty in crystal clear base. It shines and sparkles like crazy. "Just sunk to the bottom "
COMMENTS: Despite more than one attempt, this particle seems to just sink. I'm going to keep trying. COMMENTS: received as sample. Love the color. mixes well with M&P. COMMENTS: Great color, good sparkle. Very small particle glitter and it looks really great. COMMENTS: What is there to say other than OOOOO PRETTY!! You won't be disappointed!! COMMENTS: Pretty glitter to sprinkle on soaps. COMMENTS: The color is so beautiful and only need a little. COMMENTS: This a very brilliant blue. Blues are my favorite. Will be ordering more soon! COMMENTS: Used this in my fish soaps, this gave a nice little blue sparkle, not as bright as I hoped but it was cute. Be careful breathing this stuff though, make sure you use proper stiff over your eyes and mouth, this stuff went all over the place and airborn very fast. COMMENTS: I am using this in a "Frozen" themed MP soap and it is very pretty. The little girls love it. 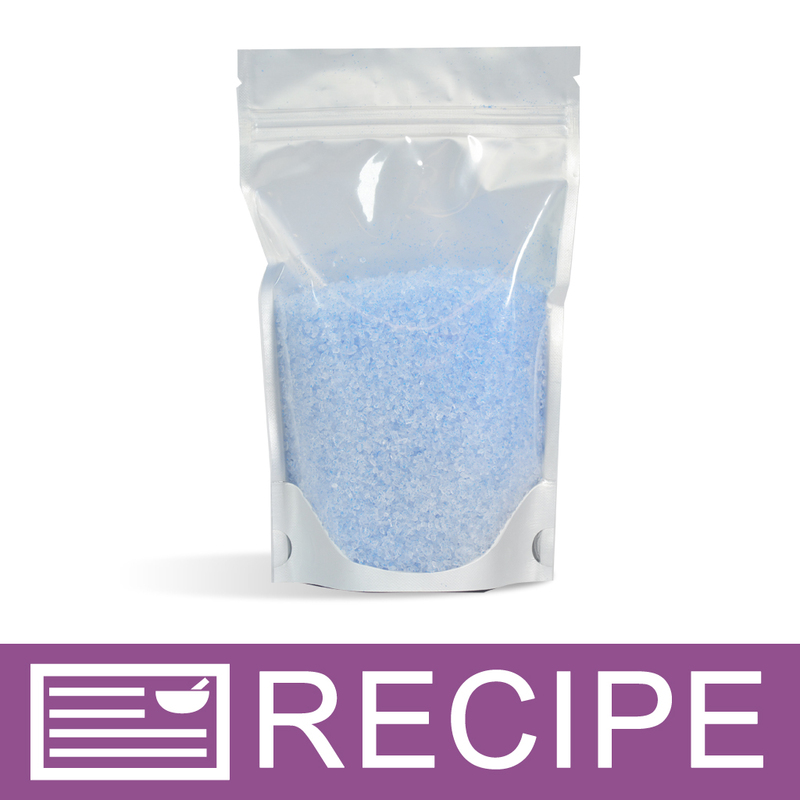 COMMENTS: I love to use this in bath bombs and I love to sprinkle this on my cute MP soaps. COMMENTS: The sparkle factor on this is wonderful inside and on top of melt and pour soap. Received as a sample but will be buying some more soon. COMMENTS: This glitter adds a lovely, professional touch to my MP soaps. It looks great on my snowflake soaps, which are white and blue soap swirled together. COMMENTS: I think I got this one as a sample and I will most certainly be ordering it. Since I had such a small amount I used it in a portion of my soap batter to make swirls. The color is outstanding and goes a long way. 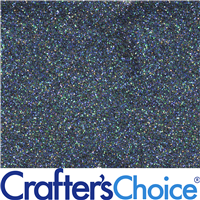 COMMENTS: Nice touch of blue glitter, easy to mix, no clumping as other glitters I have used. COMMENTS: This is a very pretty glitter, I like all of the glitters offered. This one just happens to be my favorite color. COMMENTS: Beautiful glitter. Was easy to use and just lovely on top of my CP soap. COMMENTS: I ordered a sample of this to test for use in a custom soap for wedding favors. It was my first time playing with glitter in soap. It was a very pretty color, a little goes a long way. 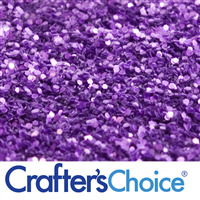 I prefer more natural soaps, but if you are into glitter this would be a nice one to use. 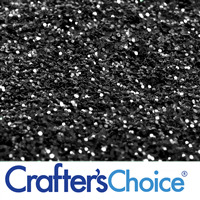 COMMENTS: I love the sparkle in my clear soaps with this glitter, it is just so beautiful. COMMENTS: Color of the glitter compliments most blue soaps well. I like to add blue glitter plus the standard white glitter to add extra depth to the color. It suspends well in soap. COMMENTS: I used this on the top of my CP soap and as a pencil line. Held up great in the soap with a beautiful blue color. COMMENTS: This glitter adds a fun sparkle to my soaps! Perfect for adding a little something extra! COMMENTS: Added a tiny bit of this to some blue soap. It turned out so pretty! Many compliments on it. 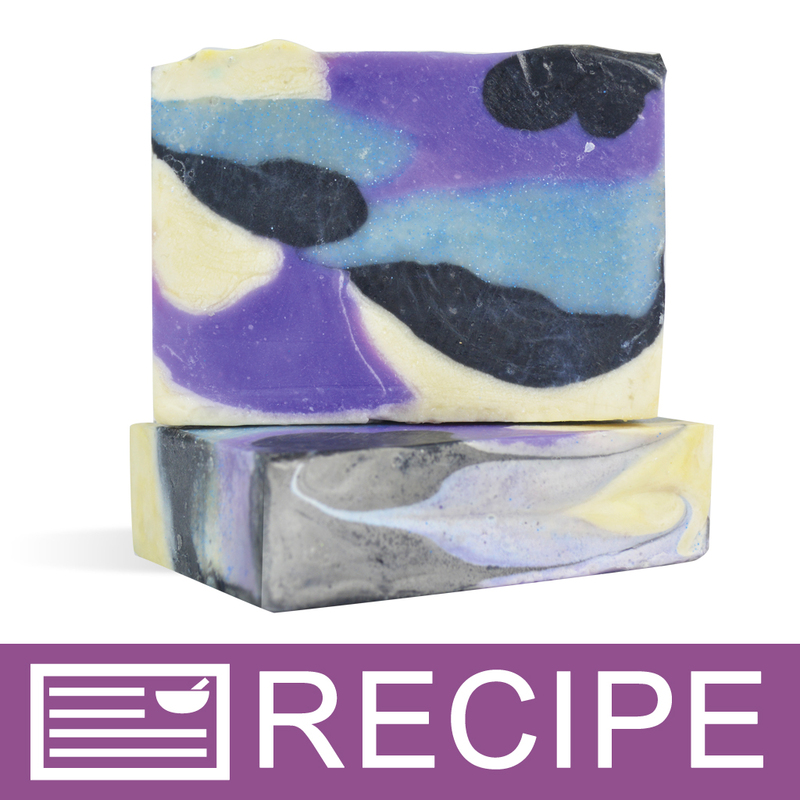 COMMENTS: I got this as a sample and I absolutely adore the sparkle and pop it adds to my soap! Just the perfect color for a fun "ocean-inspired" soap or even a bath fizzie to make a customer's bath water "dance" with sparkles. COMMENTS: use this in melt and pour soaps. Kids love it! COMMENTS: This is a great product. I use it in my HP soaps. COMMENTS: Looks great in MP soap! 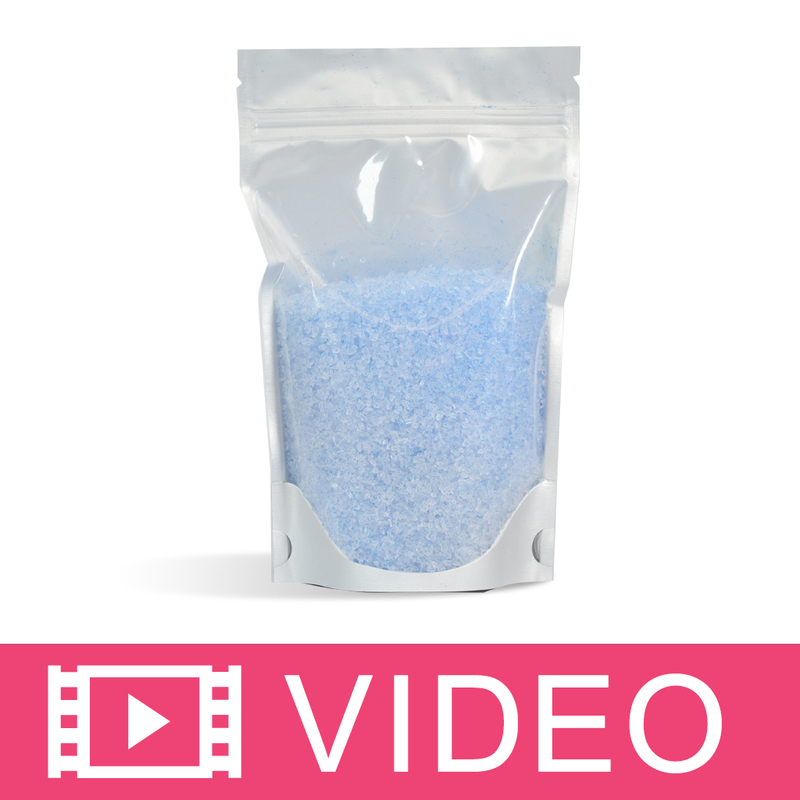 COMMENTS: I just love this blue, it is so bright and brings a nice pop to my soaps and bath fizzes. It really shimmers and catches the light. COMMENTS: I have used this in bath fizzies and soap so far and am very pleased with both products. Customers love this beautiful blue. It is very eye catching and draws them to those products. "Life is better with glitter!" COMMENTS: This is a very beautiful shade of blue. I use it in and on top of melt and pour soap to give it added glamour. The small particle size keeps it from being too abrasive. A little goes a long way. You can never have too much sparkle in your life! COMMENTS: I love this particular shade of blue in my soap recipes. It's easy to add to my cold process and hot process recipes by mixing into a little warmed glycerin. COMMENTS: Makes bath bombs extra special! Blue glitter stands out beautifully! COMMENTS: Love glitter! I mix it with white, looks fantastic! COMMENTS: I use this micro-glitter in my nail polish & it's super popular with little girls! COMMENTS: Unique and a beautiful complement to any product that I add it on. COMMENTS: I used this on a pour of CP soap I did last night and it turned out very nice. It looks bright and really stands out. I intend to order more. And the glitter stays on the soap well. The texture does not feel grainy so the customer will feel comfortable with this on the products that they get. COMMENTS: I love this glitter. I started out with the sample size and now im buying the 2 ounce because i use it on all my crafts. Its amazing! "A sample that will now be on my must haves"
COMMENTS: Great Idea for WSP to give small samples to encourage customers to try items they otherwise wouldn't. This is one of those items for me. I would never have bought blue glitter but decided it was one of the best options in my list of samples to choose from. I love the way this pops my design, I used on top of my Holiday snow cupcakes soaps. Blue and White with Blue Glitter looks so amazing. Give this one a try, you won't be sorry. 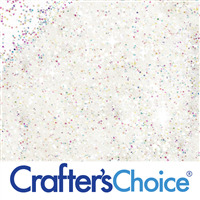 WSP Response: Company Note: If using glitter in Melt & Pour soap, we recommend using Crafter's Choice Clear Suspension Soap Base to suspend the glitter throughout the soap. COMMENTS: I used this blue glitter in Fizzies that I made into eggs. They were beautiful and came out perfect. I would recommend for Bath Fizzies makes a great color! COMMENTS: I love the color of this glitter. The particle size can be a bit messy, especially if you get the sample size in the baggy. I would personally pay a bit extra to have it come in a little jar so there's not as much getting stuck to the baggy. Otherwise, it looks great on my finished soap. I added just a little and partially swirled it into the design on top for a hint of shimmer that requires further inspection. This is great for that attention grabber or just that little shine to catch someone's attention. I highly recommend this glitter and my next purchase will definitely be the larger size! "I see where you say these are safe for bath bombs but according to the SDS sheet it contains aluminum. I did not see aluminum on the ingredient list. Does it have aluminum in it? " 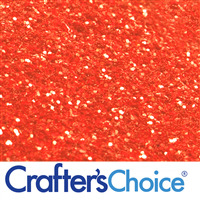 Staff Answer Our glitter does not contain aluminum. We are in the process of updating the SDS sheet which is incorrect. "Can I use this in lip balm? Ok to be swallowed?" Staff Answer This is not recommended for lip products. "Are these glitters safe in regards to fish once it goes down the drain. Is this safe for the enviornment." Staff Answer We recommend reading the SDS sheet attached to this product for further information. "I am wanting to Mix the glitter with some candle wax and put it near the wood wick then surround it with colored wax. Is this safe? I made one by mistake and it looks so pretty and I would like to make more just don't want to make my customers sick. 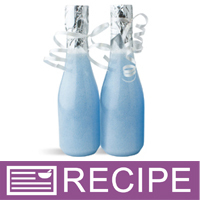 Thanks "
Staff Answer You can use glitter to decorate the top of your candle. You, of course, would need to test this to be sure it burns properly. "Can I use this in candles?" Staff Answer You can use the glitter or mica to sprinkle on the top of a container candle or add some sparkle to the outside of a pillar candle. This should not be used to color a candle. Only candle dyes should be used to color your wax. "Can these be used in bath bombs or bath melts? Is this technically considered cosmetic grade? " Staff Answer Yes, they can. While there is no government regulation for the particle size that can be used in cosmetics, the cosmetic industry standard is .004" and .008". In the event a cosmetic with glitter gets into an eye and there is an eye injury, these smaller sizes will lessen your liability. "When used in bath bombs will the glitter stick to your skin when you get out?" Staff Answer The glitter may initially stick to your skin, but will easily rinse off before exiting the tub. If the bath bomb has a high oil content then the glitter may be harder to rinse off. "Will the glitter spread throughout the soap and stay when I pour it into the mold or do I need to add the Liquid Suspension soap?" Staff Answer For liquid washes, you will want the liquid suspension soap base to fully suspend the glitter. For MP Soap, we recommend the Suspension MP Bases. Adding it to the soap at a lower temperature will keep it from sinking in the mold. I usually swirl it once as it gets even cooler in the mold, then spritz the top with alcohol to remove the air bubbles. 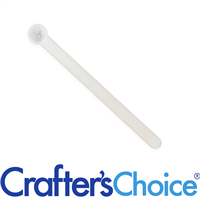 "I see that many soapers use this in/on their soaps but it's not recommended for use around the eyes. Isn't this a little dangerous? Or am I just being a worrier?? Thanks!" It's approved as safe for body. It's a terrific addition. If you're concerned, you could make sure that the glitter is "embedded" rather than loosely sprinkled on top. It's always a good idea to add a disclaimer. Very good question, but don't be worried. It's listed as "not recommended for eyes", which means it should not be used for something like eyeshadow. The particle size is .008, which is the higher end of the size that's used in cosmetics. If the loose powder got into the eye, it has the potential of scratching your cornea and would most like make your eye pretty itchy. It's acceptable for use in soap as it wouldn't have the same risk as it would as an eye shadow. "Can I use this in CP soap?" "What is this glitter made from? "